Like with any industry, car dealerships have their own jargon. When you walk into a dealership, you may hear the salespeople using terms like "invoice price," "MSRP," and "residual value," but do you really know what they mean? It's important for consumers to understand these terms so that they can make an informed purchasing decision. Read on to understand the key terms you may hear at the dealership. Invoice price: The invoice price is the original amount the car dealership pays the car manufacturer for each vehicle. This price does not always reflect the dealer's final cost due to rebates, discounts or incentives. MSPR: MSPR stands for Manufacturer's Suggested Retail Price. Also referred to as the sticker price, this is the figure that's most visible on the car's window sticker. It's also the price listed in advertisements for the vehicle. Dealerships often begin negotiations at the sticker price. Unless the vehicle is brand new or the model is in high demand, cars can sometimes be bought for less than the sticker price. 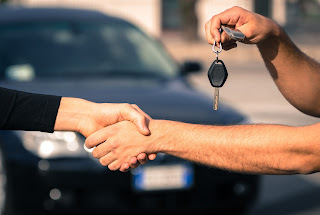 Residual Value: Residual value refers to how much the car will be worth at the end of its lease. Dealers use residual value to calculate the lessee's monthly payments. Generally, the longer the lease period, the lower its residual value is. Realized Value: This is the actual market value of a leased vehicle at the end of the lease. APR: Annual Percentage Rate (APR) is the total amount you pay for your auto loan, including the interest rate and other fees. It is expressed as an annual percentage of the amount financed. With fixed-rated financing, the APR stays the same over the course of the contract. With variable-rate financing, the APR increases after a specific time period. GAP: Guaranteed Asset Protection (GAP) is an optional coverage for car buyers. It protects you in the event that your car is stolen or totaled in an accident. GAP covers the difference between what is owed on the car loan and what is covered by insurance. If you come across other terms you don't understand during your visit to Springfield Toyota, don't be afraid to ask the salesperson to explain them to you. You want to ensure you understand the terminology and the terms of the sale before moving forward.